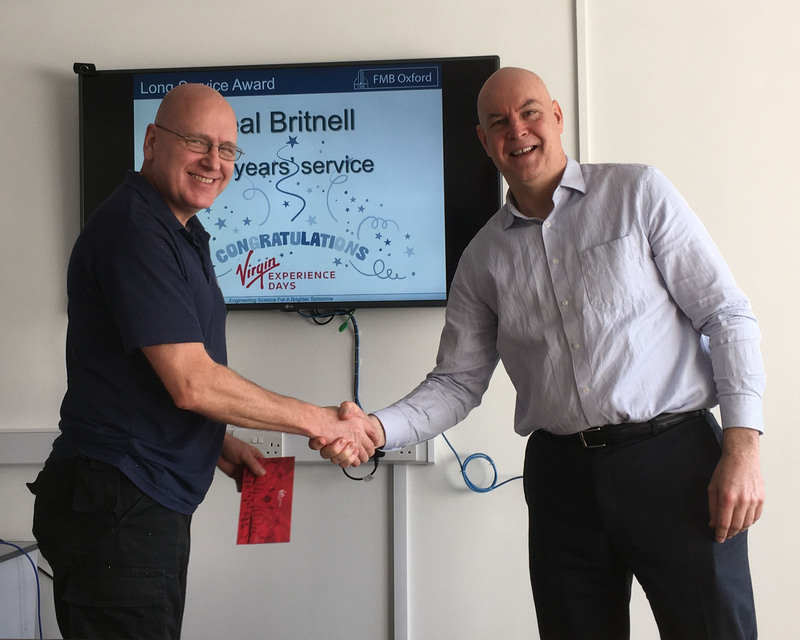 In March Senior Technician, Neal Britnell, reached the amazing milestone of 30 years’ service. Neal joined Oxford Instruments Synchrotron Division in 1989 as a Mechanical Assembly Technician and has been with the company through the sale of the business to both Danfysik and FMB Berlin. Over these years Neal has gained invaluable knowledge of our products and has assembled and installed countless components in the many facilities he has visited time and again. FMB Oxford is delighted to congratulate Neal and have awarded him his choice of activity days. Will it be driving supercars, white water rafting, a weekend spa break, Michelin dining or sky diving? The choices are endless but nothing too adventurous Neal, we want you here for another 30 years! !